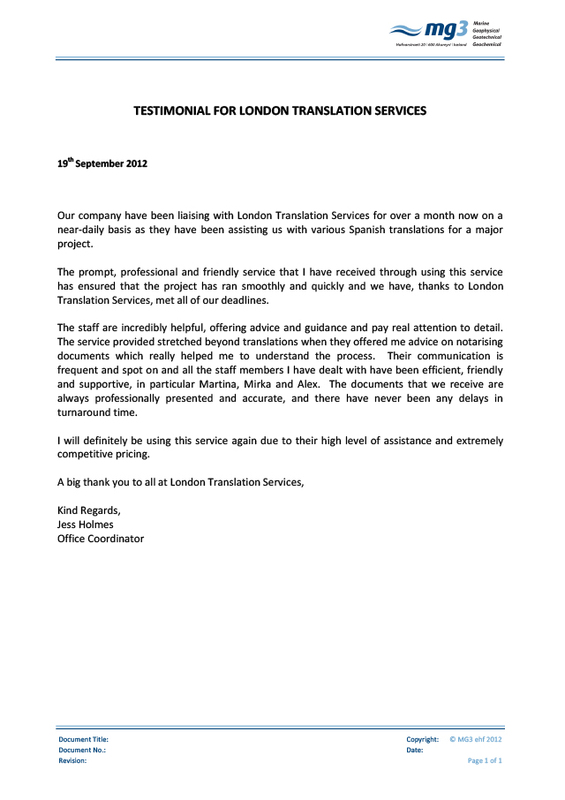 Our company have been liaising with London Translation Services for over a month now on a near-daily basis as they have been assisting us with various Spanish translations for a major project. 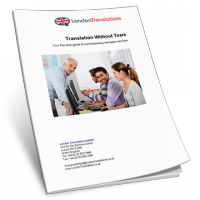 The prompt, professional and friendly service that I have received through using this service has ensured that the project has ran smoothly and quickly and we have, thanks to London Translation Services, met all of our deadlines. The staff are incredibly helpful, offering advice and guidance and pay real attention to detail. The service provided stretched beyond translations when they offered me advice on notarising documents which really helped me to understand the process. Their communication is frequent and spot on and all the staff members I have dealt with have been efficient, friendly and supportive, in particular Martina, Mirka and Alex. The documents that we receive are always professionally presented and accurate, and there have never been any delays in turnaround time. I will definitely be using this service again due to their high level of assistance and extremely competitive pricing.